With less than 18 months before Regulation 14.1.3 of Annex VI of the International Convention for the Prevention of Pollution from Ships (MARPOL) comes into effect, there are still numerous challenges surrounding compliance and enforcement, which have cast uncertainty over the effect that the regulation will have on the international maritime industry and on individual shipping companies. This three-part series aims to draw the attention of risk managers, owners and charterers to the practical issues that they should be aware of, ahead of the implementation of Regulation 14.1.3, and to highlight the various measures that they should now be considering, to safely absorb the significant costs and other commercial risks that are forecast to accompany the entry into force of the regulation. In the first of a short series, this article provides a brief summary of the scope of Regulation 14.1.3, and an analysis of the different types of risks to which owners and charterers are likely to be exposed, if they do not take the necessary steps to comply with Regulation 14.1.3, by 1 January 2020. Regulation 14.1.3 of Annex VI of MARPOL was adopted by the IMO in 2016, in response to environmental concerns. The regulation now provides that “the sulphur content of any fuel oil used on board ships shall not exceed … 0.50% m/m on and after 1 January 2020”. The new limit will see a steep reduction in the permissible global sulphur limit, down from the 3.5% mass/mass (m/m) limit, currently in effect under Regulation 14.1.2. The limit will apply to all vessels registered with flag states that have ratified Annex VI, and in all waters belonging to port or coastal states that have ratified Annex VI, at which, or through which, a vessel calls or passes. The IMO has reconfirmed that Regulation 14.1.3 will take effect immediately, despite recent calls by leading flag states and shipping associations for a period of “experience building” and “pragmatic enforcement”. The new limit will also not affect the ongoing obligation under Regulation 14.4.3 that vessels operating within emission control areas use fuel with a sulphur content of only 0.1 m/m. Under common-time charterparty forms, including the NYPE 1946 form and the Shelltime 4 form, it is charterers’ responsibility to supply fuel for the vessel. Time charterparties will normally also include a bunker specification rider clause and, potentially, additional standard BIMCO form or other clauses, dealing with sulphur content or bunker quality. Owners and charterers should review all clauses concerning fuel and bunkering, to ensure that those clauses are Regulation 14.1.3-compliant. In particular, this will reduce the risk of disputes in circumstances where vessels are visiting port states that have not ratified Annex VI, or smaller ports where non-compliant fuel may not be available. The inclusion of express sampling procedures, to ensure that bunkering operations are Annex VI-compliant (including that bunker delivery notes state the sulphur content of the fuel supplied) are also likely to reduce the occurrence of disputes. Parties should further consider the adoption of a clause overriding Regulation 18.2 of Annex VI (which establishes that a vessel should not be required to deviate from the intended voyage or unduly delay the voyage, in order to obtain compliant fuel). As well as minimising the scope for disputes (assuming that the vessel is not fitted with a scrubber or other alternative means of compliance), this is relevant from a commercial point of view; increasing numbers of bluechip companies have now adopted a zero-tolerance policy concerning doing business with shipping companies that are non-compliant with the new regulation. Cargo owners may also demand a compliance clause before placing cargo with vessels. BIMCO has recently announced that it will be introducing a series of standard clauses to attempt to address some of the above issues. The first, named the ‘BIMCO 2020 Global Marine Fuel Sulphur Content Clause for Time Charter Parties’, is expected to be published at the end of October 2018. It sets out time charterers’ obligations and liabilities in providing fuel of the required content. Fuel management is to remain the responsibility of owners. A second ‘bridging’ clause, addressing the transitional period around 1 January 2020, is expected to be published between January and February 2019. This clause will likely address the final bunkering of the ship by time charterers prior to redelivery, requirements for sufficient compliant fuel on board at redelivery, tank cleaning costs and disposal of residual fuel, during the period immediately before and after 1 January 2020. Parties should also ensure that the price of fuel on delivery and redelivery is specified, in particular when negotiating longer-term fixtures that will span the transitional period, to avoid disputes. In the context of vessels retrofitted with scrubbers to comply with Regulation 14.1.3, owners and charterers should ensure that any charterparty entered into, adequately allocates responsibility for installation, maintenance and repair. BIMCO has announced that a standard scrubber clause is due to be published around March – April 2019. The clause is likely to address possible installation cost sharing between owners and charterers, with formulas potentially reflecting the life of the scrubber or the remaining duration of the charterparty. The clause might also deal with scrubber breakdown, and impose requirements for the carriage of a reserve of low-sulphur fuel oil (LSFO) to avoid off-hire. Owners and charterers should additionally review dry-docking and off-hire clauses (in the context of time charterparties), and laytime and demurrage clauses (in the context of voyage charterparties), to ensure that those clauses clearly allocate responsibility for time and costs spent on installation, maintenance and/or repair. A further consideration for owners, in the context of vessels both able to burn LSFO and also retrofitted with a scrubber, is the extent to which charterers may use scrubbers, instead of sourcing compliant fuel under the contract, and to what extent charterers should bear the additional energy consumption costs incurred as a result. Though enforcement will vary from jurisdiction to jurisdiction, non-compliant vessels should expect financial penalties from port states that have ratified Annex VI. Article 4(4) of MARPOL, which requires that these should be “adequate in severity to discourage violations … irrespective of where the violations occur”. The EU Sulphur Directive similarly requires member states to impose penalties that are “effective, proportionate and dissuasive and may include fines … [that] at least deprive those responsible of the economic benefits derived from their infringement and that those fines gradually increase for repeated infringements”. Further, certain port states may pursue and arrest vessels under local rules and regulations. The United States Coast Guard, for example, is empowered to seize vessels in breach of sulphur regulations. 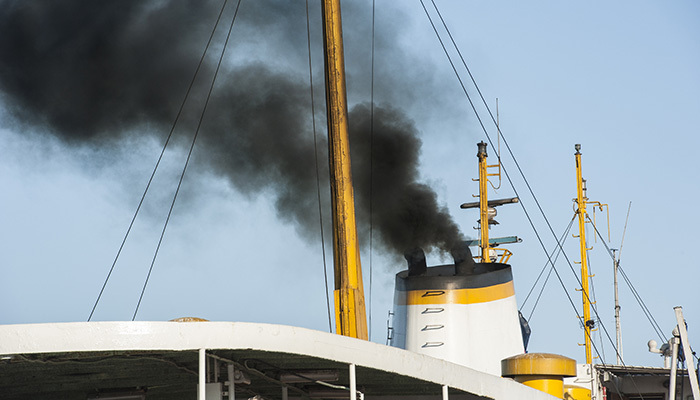 Concurrently, the US Environmental Pollution Agency may impose civil fines on non-MARPOL-compliant vessels, to the tune of $25,000 per day of non-compliance. Again, owners and charterers should ensure clear allocation of risk and cost liability in their charterparties. Owners should also be aware of the potential consequences for their hull and protection and indemnity (P&I) insurance coverage. Flag states that have ratified Annex VI should in theory revoke or, at least, suspend vessels’ MARPOL certificates, if they do not comply with the regulation. If this occurs, or if a vessel is otherwise deemed to be unseaworthy, or no longer in class, as a result of non-compliance, owners may be considered to have breached seaworthiness, class and/or other warranties under their hull and machinery and/or P&I policies. If these breaches are determined to define the risk as a whole, UK insurers, at least, will be entitled to avoid liability for losses that would otherwise be covered under a policy. Regulation 14.1.3 is likely to have a dramatic effect on the shipping industry, the extent of which is still largely unknown. As explored above, from a contractual point of view, owners and charterers can best protect themselves by reviewing the terms of their contracts of carriage, and of their insurance policies, to ensure that their contractual positions are adequately protected, and that they are aware of the extent to which any non-compliance may affect policy coverage. In part two of this series, we will explore challenges to compliance facing owners and charterers, in addition to the perceived challenges to enforcement, still facing the IMO.